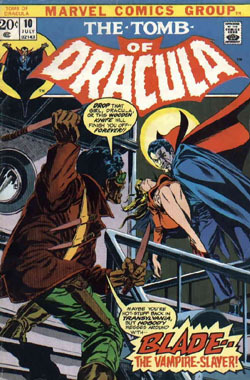 Blade the Vampire Slayer debuted in Tomb of Dracula #10. The cover to Buffy the Vampire Slayer: Season 9 #6 pays homage to that milestone issue. New Moon is the second film in the Twilight Saga movie franchise. 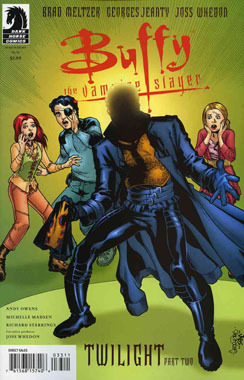 The cover to Buffy the Vampire Slayer: Season Eight #36 pays homage to the movie poster. 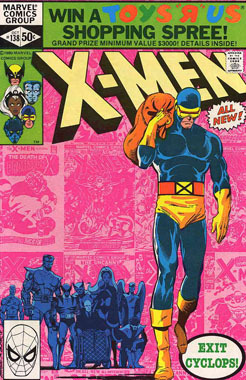 After the events of the Dark Phoenix Saga, wherein Jean Grey is killed off, Cyclops left the team in X-Men #138. 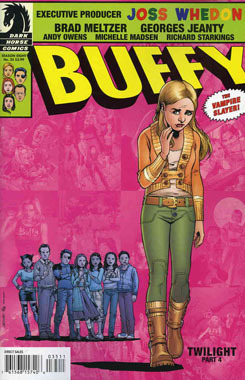 The cover of Buffy the Vampire Slayer: Season Eight #35 pays homage to this milestone issue. These days it’s hard to think of Spider-Man villains without the Green Goblin coming to mind but, there was a time when the Goblin wasn’t very important to the Spidey mythos. The original Green Goblin (Norman Osborn) debuted in Amazing Spider-Man #14 and was killed off in Amazing Spider-Man #122. His son, Harry, adopted the Goblin mantle in Amazing Spider-Man #136 and, in Amazing Spider-Man #176 (cover date: 1978), Harry’s psychiatrist Barton Hamilton became the third Goblin. For the next five years, the Spider-Man books were Goblin-free! 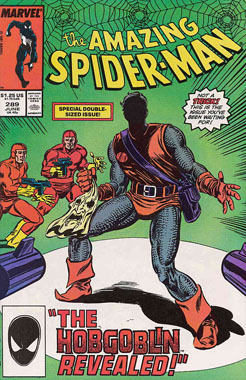 That is, until Amazing Spider-Man #238 (cover date: 1983), when the Hobgoblin debuted. Initially, the identity of this Goblin was unknown and was an important running subplot of the series for the following five years. Finally, Hobgoblin’s identity was revealed in Amazing Spider-Man #289 (cover date: 1987). 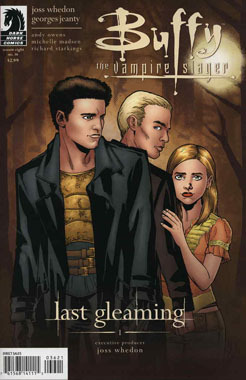 The cover of Buffy the Vampire Slayer: Season Eight #33 pays homage to this milestone issue.